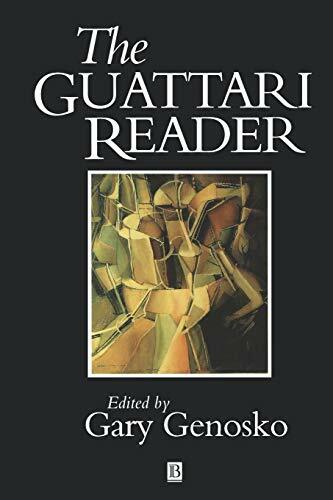 This book makes available the broad canvas of Guattaria s formidable theoretical and activist writings to provide an indispensable companion to the existing literature. Felix Guattari (1930-1992) was a radical analyst, social theorist and activist-intellectual. Best known for his collaborations with the philosopher Gilles Deleuze on Anti-Oedipus, A Thousand Plateaus and What is Philosophy?, The Guattari Reader makes available for the first time the broad canvas of Guattari's formidable theoretical and activist writings, many previously untranslated, to provide an indispensable companion to the existing literature. Aside from illustrating the salience of Guattari's collaborative work with Deleuze and other European intellectuals, this volume charts Guattari's own solo writing career - from his tenure as Lacan's analysand in the 1950s and his prominent role in the international anti-psychiatry movement of the 1960s through his participation in queer politics, outlaw radio, and the formation of subversive collective organizations. This volume provides an important register of Guattari's more political side, documenting his interventions in particular political conflicts in contemporary Europe. Guattari's ideas and projects defy disciplinary boundaries and escape compartmentalization. They will appeal to those working in and between politics, philosophy, semiotics, psychoanalysis, sociology, and cultural studies.